Incredible, isn’t it? So perfectly designed and yet so strange. Ultramodern and yet medieval, like a space ship on a surveillance mission and a castle readied for battle, set off by itself in forbidding isolation and yet connected somehow to distant galaxies. The tableau is so unique and so striking that it could be a scene from the forthcoming Star Wars blockbluster: we can imagine the rebel stragglers, downed on an unknown planet, approaching the daunting edifice that has emerged out of the snowstorm. They can’t survive outside, but they don’t know what lies within. Friend or enemy? Life, death, or something worse than death? 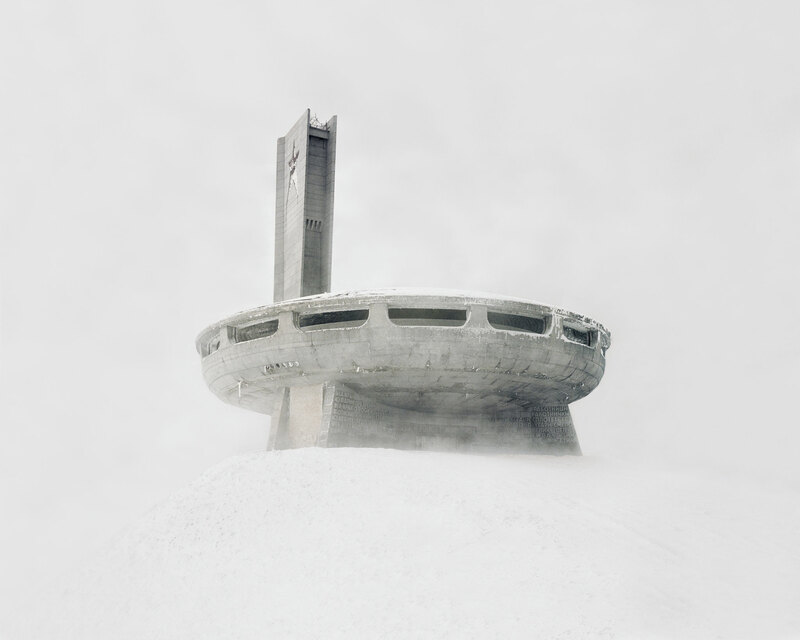 They were socialists, actually: the structure is a monument to socialism built on Bulgaria’s Mount Buzludzha. It is one of a series of remarkable images captured by photographer Danila Tkachenko. The exhibition is available in the current issue of the National Geographic Magazine and at their website. Influenced by a nuclear waste explosion that had scarred his own family, Tkachenko set out “to look for other sites and structures that symbolized an abandoned march toward progress.” He found them. The movie optic doesn’t come from Tkachenko, and I don’t intend to make light of his work. But science fiction movies and documentary photography have more and more important intersections than you might think. (Search for “science fiction” at this blog and you’ll see a few more examples of what I have in mind.) Tkachenko describes the now abandoned monument as a “very surrealistic object,” and he’s right. Although having the exceptional formal simplicity and coherence of a fine art object, it nonetheless is out of place with itself and its surroundings: the scene presents a mixture of aesthetics, politics, and an abstracted natural environment where each part seems alien to the others even as they fit together seamlessly. Surreal indeed. Susan Sontag declared that “photography is the only art that is natively surreal.” That was not meant to be a compliment. It was instead a radical deconstruction of the medium that was thought to be inherently realistic. Sontag was right, but not in the manner that she would have wished. Photography is surreal, and good thing, too, for that is exactly why it is capable of capturing the “natively surreal” features of social reality. Which, I might add, is a lot of social reality. The monument itself may not be to your taste. I think it is magnificent, but you might see a glorified birdbath. That disagreement is worth having, but it is beside the point today. The photograph has captured something more comprehensive than the artwork itself: the pervasive alienation of the socialist ideal on planet Earth. True, Bulgaria fell well short of the ideal society, and the money spent on the monument perhaps could have gone to help the common people rather than glorify an ideal or a regime ruling in its name. But if present trends continue, one can imagine a planet trapped in a perpetual winter of neoliberal capitalism. That planet could be dotted with massive, ultramodern castles surrounded by vast spaces of abandonment. It would seem like a movie to us today, but we already are living the trailer. Perhaps an abandoned monument to a noble dream is surreal, but some day rebel stragglers may look up at the ruin and want to ask, compared to what? Photograph by Danila Tkachenko. The quote from Sontag is from On Photography, p. 51. 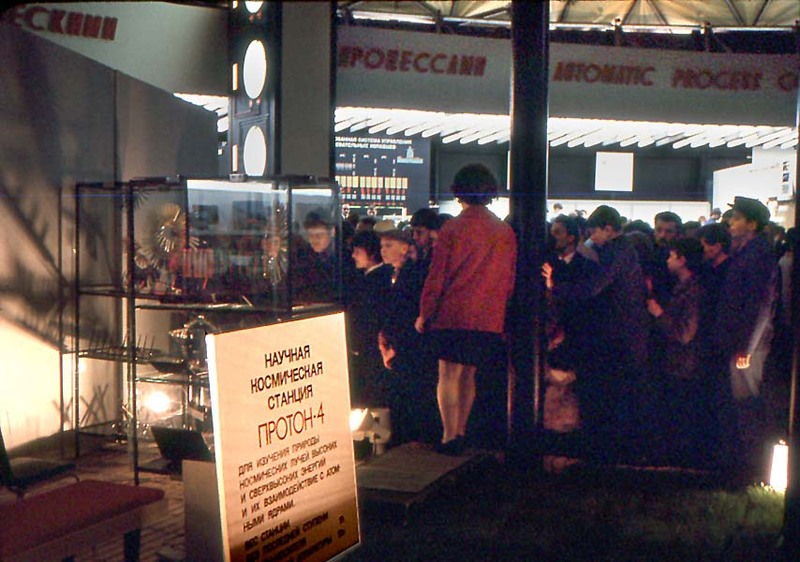 Socialist dreams in the USSR: Having a ballpoint pen rather than a space station.